In a web browser window, please enter the IP address or URL of the system PRTG is installed on. When using a cluster, please connect to the primary master node. 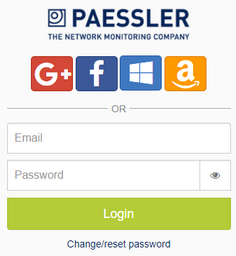 You can also double-click on the PRTG Network Monitor icon on the desktop of the system PRTG is installed on. 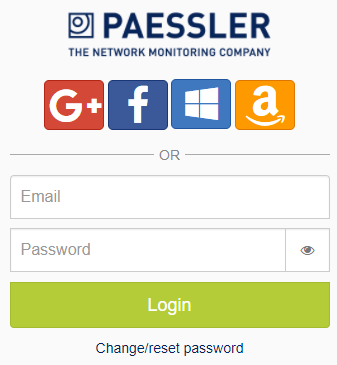 If you are using PRTG hosted by Paessler, enter the URL of your instance, for example myfirstdomain.my-prtg.com to access the web interface with a supported browser.